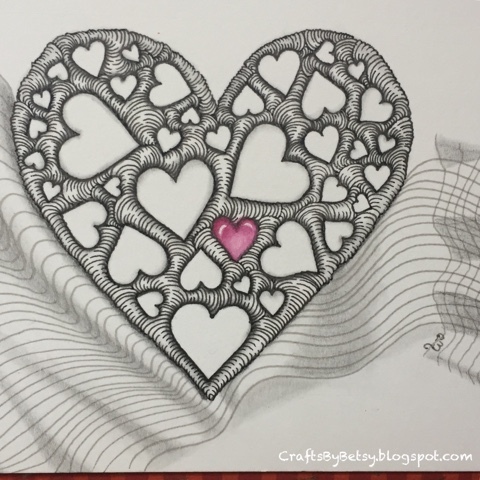 When drawing lines, it's possible to follow your heart and include others. Wishing you a loving Valentine's Day. For more Valentangle inspiration, check out the Diva Challenge. My string was created by making a stencil from a die, and tracing it onto my paper. I used Strathmore multi media 140 lb cut to postcard size. The die (shown) is from Impression Obsession. I had intended to send the original art as a thank you to one of my awesome Senators. It turned out so well that my husband talked me into making prints from the original so I can include many more recipients. I loosely had Oblique and Isochor in mind as I drew and Static showed up on his own! 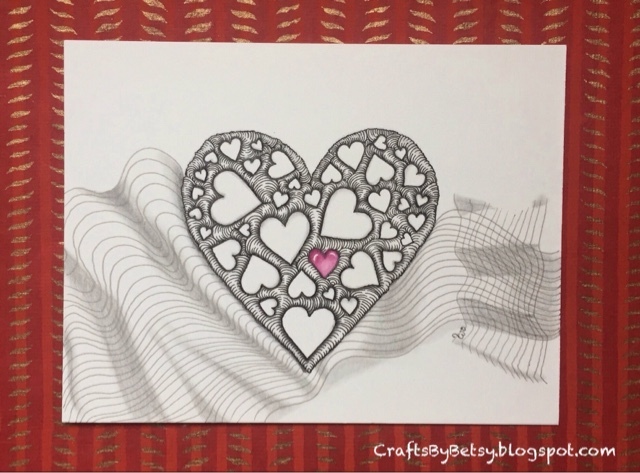 My art, both Zentangle® and crafts such as card making, helps me to keep moving forward, eventually. An inlay technique made lovely cards using that same die. A card made using a gorgeous stamp from Penny Black. 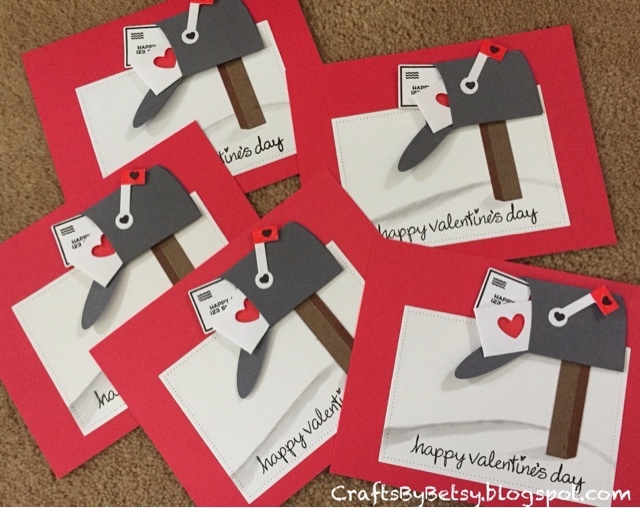 Valentines made using Lawn Fawn dies and stamps. Another die set from Impression Obsession. I also used a dotted rectangle die from Lawn Fawn. 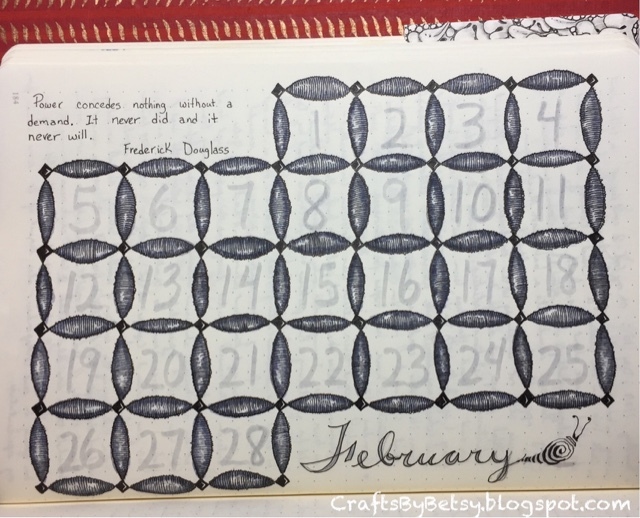 And my February calendar in my bullet journal. Turns out, Oof filled in looks like Bales! If you missed my tutorial turning Pezember into a Valentangle, check it out here. Lovely Valentangle and I love the rest of your cards too. Unfortunately the costs of die cutting do add up....but I really do enjoy it and try to get a lot of different uses for my dies. Like using the positive or the negative or as a stencil, etc. the initial expense is the machine....and I'd suggest researching what one will work best for you. Enjoy! I like all the work but my favorite one is your gorgeous Valentine's card!!! 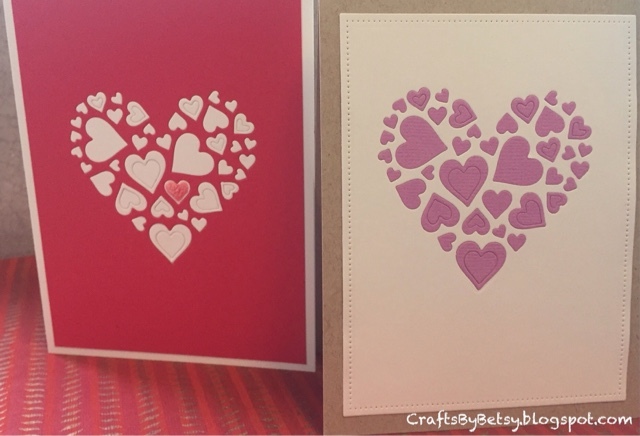 How clever to use a die to make a stencil for your Valentangle. 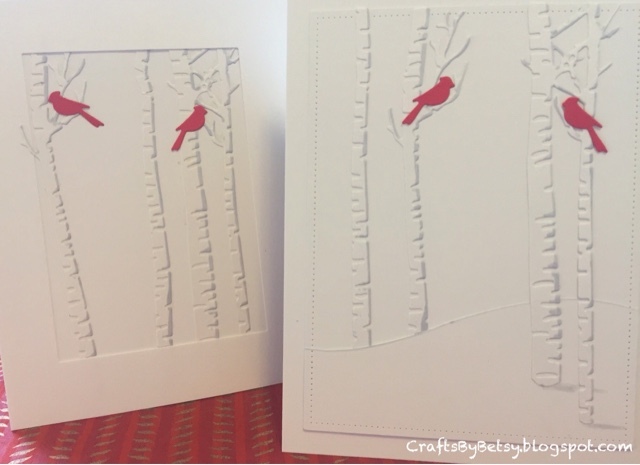 I also love the white cards with the red birds. Beautiful! How many beautiful cards, it's hard to decide on a favourite. So many lovely pieces to see here! 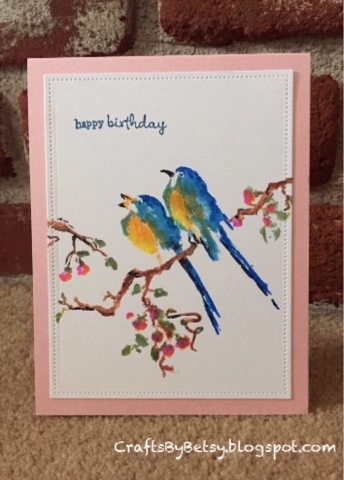 Especially I like Valentangle and the birthday cards with the cute birdies! What die cutter do you use? Love your cards! Thanks! I have an Ebosser by Craftwell that I use for almost everything. I like that it handles 8 1/2" x 11" paper. But a drawback is that it only has 1 cutting plate, so some techniques are quite challenging. I started with a standard size Sizzix. I wanted to get a few of the pro sized dies (12x12 paper essentially) and gave my standard Sizzix away thinking the pro would work for all. It's huge and it doesn't do so well with the intricate dies, so I got the ebosser for everyday use. I rarely get out the Sizzix Pro, but those pro box dies etc are pretty cool! Thank you, just the kind of fed-back I was looking for. I don't get to draw often. I became a CZT in 2013 and, at that time, Tangled frequently. Life sometimes detours us; I also knit, read and quilt so one or more of my interests often go wanting. I have no idea if I'll ever get a die cutter. I once had a longarm quilting business and with that I had two Accuquilt cutters, both now sold. I've looked at the various paper cutters until I was totally confused. I must tell you that I love Maryhill; I love the depth it creates. Again, thank you! Hi Betsy, just wanted to say thanks for your suggestion of adding grey to the hair. I was unable to respond to your email as you are 'no reply blogger' so came here instead. Thanks for the suggestion, another option that I never thought of. Just looking at your cards, wow beautiful. 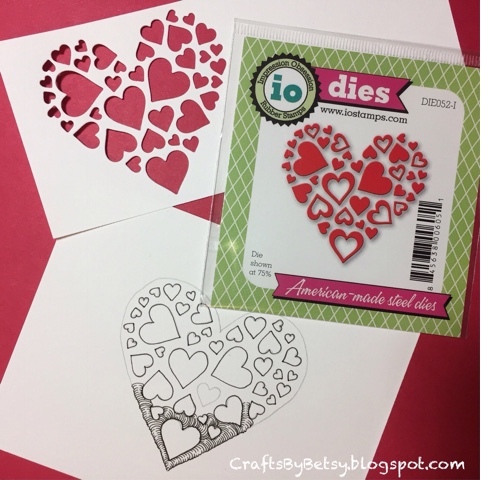 Love love how you used that heart die and did all the lines on the heart outline., looks amazing.